Regroup Mass Notification is an industry leader in emergency and day-to-day notifications for education, health care, industry and more. 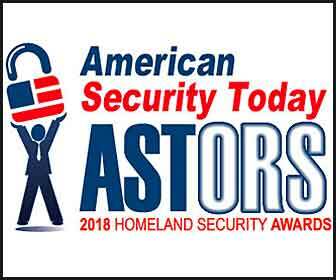 Regroup Mass Notification, a leading provider of emergency and day-to-day mass notification solutions, is pleased to announce the company has been nominated to compete in the 2018 ‘ASTORS’ Homeland Security Awards. Regroup’s cloud-based Emergency Notification & Mass Communications platform was designed to help strengthen organizations’ resiliency and maintain continuity of business activities during a crisis and on a day-to-day basis. Founded at Stanford University in 2006 to solve the university’s need for easy, effective multimodal messaging, Regroup effectively unifies communications with one-click messaging to mobile phones (text/voice/push), landlines, email, social media, websites, digital signage, public alert systems, fire alarms, and more. Organizations wishing to further enhance their business continuity plan can leverage Regroup’s robust automated alerting functionality to dramatically accelerate response times and reduce the margin for human error. In a year of unprecedented natural disasters that impacted over 25 million Americans, Regroup Mass Notification pursued technological improvements and acted quickly with community-serving policies that helped keep people safe and informed when time was of the essence and lives were on the line. The most powerful improvement we made to our platform improved the throughput, stability and reliability of mobile SMS/push notifications sent through the Regroup platform. Now, SMS messages sent through Regroup are delivered 10x faster than before. A primary reason institutions switch to Regroup is their continual development of innovative mass communication technology. Since mobile infrastructure such as cell towers are unreliable and prone to failure in natural disasters, this improvement in SMS capabilities was identified as a critical way to become a best-in-class Mass Notification provider. Because of the enhancements, Regroup clients are able to ensure critical messages are delivered faster and more successfully than ever before, even when the power is out and mobile networks are down. Our SMS improvements proved their worth in August 2017, when Hurricane Harvey made landfall in Texas. Messages sent through the Regroup platform increased over 3000% during that time, and had a 97% delivery success rate. (Most of the 3% of messages that failed to deliver were due to incorrect phone numbers or Text messages being sent to landline phones, which our system is designed to automatically flag). Shortly thereafter, in advance of Hurricane Irma making landfall in Florida in September 2017, Regroup announced that it was making its platform available for free to any organization in the Southeast United States throughout the duration of the storm. Regroup’s dedicated client support team was available 24-hours per day, 7 days a week to onboard and assist clients with their communications. While Houston was still flooded from Harvey and the East Coast was reeling from Irma’s impact, Hurricane Maria ripped through the central Caribbean and made landfall in Puerto Rico on September 20, 2017. Once again, the dedicated client services staff was available round-the clock to assist with sending messages through the Regroup platform. After seeing the heartbreaking destruction suffered by the island, Regroup’s executive team issued 6-months of credits to all clients in the area to allow them free use of our platform throughout their recovery efforts. 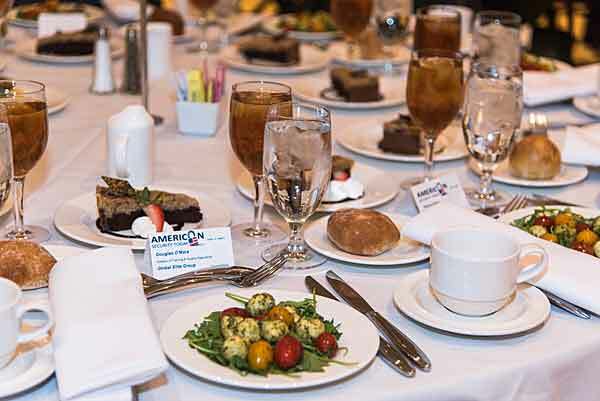 Regroup Mass Notification’s dedication to making continuous service improvements, combined with their heart for the communities they serve, makes their platform an excellent candidate for consideration of the ‘ASTORS’ Awards Program recognition. Their 97% client satisfaction and retention rate are clear proof of the company’s commitment to an excellent customer experience and innovation in mass communication. Throughout 2017, their decisions and actions reflected these commitments, and will continue to do so into the future. To learn more about how Regroup’s Emergency Notification System can provide rapid communications during a crisis, as well as streamline day-to-day communications, call 917-746-6776, email inquiries@regroup.com, or visit the company’s website at https://regroup.com.